There are many studies out there showing that women’s pain is often treated with less seriousness than their male counterparts. And this really became evident lately when model and actress Kim Porter was found dead last week at her Los Angeles home after being sick with pneumonia. Porter went into cardiac arrest after having previously alerted her doctor the evening before to the fact that she was not feeling well after a brief recovery from pneumonia, TMZ reported. 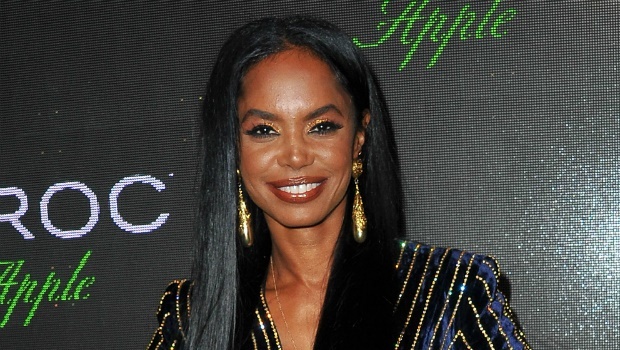 Kim Porter died at age 47 - an age at which one could hardly be considered frail, let alone frail enough to not survive a bout of pneumonia. She had access to medical care that did not act when she called for further care, and she died. One might even imagine - by filling in the gaps between the time she called her doctor and the next morning when she was found dead at her home - that Porter was probably instructed to take a painkiller and sleep it off. Women, especially those of colour, experience this often. Tennis champion Serena Williams' almost lost her life a day after giving birth to daughter Alexis Ohanian Jnr. She detailed her harrowing experience to Vogue earlier this year, recalling how a nurse initially dismissed her request for a CT scan and a heparin drip as soon as she started experiencing shortness of breath. Ultimately, Williams was right, but had she not insisted, we would be telling a different story today. Unfortunately, this is the plight of many women across the world and it spans all class groups. Recently, writer Suzannah Weiss tweeted about her own experience as a woman whose symptoms of chronic illness have been downplayed by doctors. It took her 17 doctors and 11 months to finally get to the bottom of Weiss' condition and receive treatment for it. Along the way, she experienced misdiagnoses, wrongly prescribed medications, and even being told that her symptoms were all in her head. Since Suzannah shared her story, more than 100 women have come forward to talk about their own experiences, and it’s horrifying to see exactly how many haven’t been taken seriously by the people who are supposed to be taking care of their health. READ MORE: What exactly is adenomyosis — and how is it linked to infertility? She started the thread by saying, “Women with chronic illnesses: how long & how many doctors did it take you to get diagnosed? I counted 11 months & 17 doctors & wrote down what each did to show what we go through just to begin to heal.” Suzannah included a screenshot where she had written down what it took for her symptoms to be taken seriously. “Women, PoC, NB folks, & LGBTQ people w/chronic illnesses are criticised for self-diagnosing, but the reason we self-diagnose is that those charged with diagnosing us are biased against us & don't understand issues that disproportionately affect us,” she tweeted, pointing out that many marginalised groups often get substandard treatment from their doctors. Women everywhere responded to Suzannah’s tweet and replied with comments about their own journeys to find healthcare professionals who actually took them and their symptoms seriously. It took me from 2002 until 2012 to get diagnosed with fibromyalgia. Over all that time I was repeatedly told it was just anxiety because the pain itself was causing anxiety. They just refused to care about the pain until I finally saw a rheumatologist. 5 doctors, 2 specialists, 6 months, and a WHOLE lot of patient blaming. I had a fever of 101.5+ EVERY DAY for a year after my back surgery. Lived sickly and in horrible pain, going to doctor after doctor, basically told I had a UTI or some autoimmune thing. Eventually, another MRI was ordered and an infection eating my bone and disc was discovered. All my life—countless doctors who told me I was lazy * fat. Fat Bc I was lazy. Lazy Bc I was fat. I had a mini stroke. Stanford dr tested me 4 meningitis. Cleared me. 15 yrs later I had a real stroke tht left me w a 15 Min short term memory. THEN THEY FOUND THE HOLE IN MY HEART. “Research shows that doctors are less likely to treat women’s pain and take longer to diagnose women (the average time it takes for endometriosis to get diagnosed is six to 10 years!). Women, like the ones in my thread, often describe doctors attributing their symptoms to anxiety or depression—or, worse, telling them they somehow brought their illnesses on themselves,” Suzannah told HelloGiggles. Have you ever not been taken seriously by a doctor? Tell us about it. Could your ex be making you physically ill? "Is helping my sick ex behind my boyfriend’s back considered cheating?"